Why build Offline First apps? 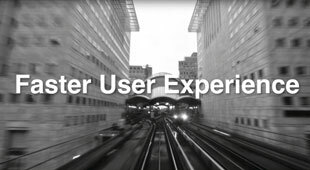 In a data-first world, your web and native apps need to deliver excellent user experiences, including during network disruptions. The Offline First approach to application development puts performance first and recognizes that network downtime is a fact of life — and the only way to always satisfy users, whether users are offline, online or somewhere in between, is to build apps that are operational even when users are offline. Offline First apps enable data to be written locally first, which is faster than writing directly to cloud services. Having data on hand natively means fewer performance disruptions when networks go down. Being offline shouldn’t be an error condition. Offline First apps allow your users to work offline or with limited connectivity, by retaining core app functionality at all times. By reducing the number of requests to the cloud service. Offline First apps help your app to be more efficient with battery resources and bandwidth usage. IBM Cloudant delivers an always-on JSON data layer for powering web, mobile and IoT apps that remain operational even when internet connections become unavailable. Cloudant’s advanced replication and syncing capabilities ensure users have a seamless experience, even during network disruptions. Cloudant, built on open source Apache® CouchDB™, is designed so that CRUD and query requests go to the local replica, regardless of network state. Upon request, Cloudant’s Mobile Sync feature will keep the local replica and remote instance in sync, enabling offline functionality. This interoperability enables seamless data replication and syncing across any data store that implements the CouchDB Replication protocol, powering endless varieties of Offline First data architectures. 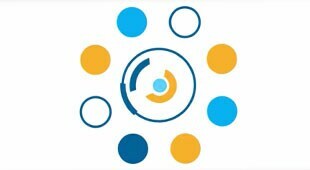 Cloudant’s native iOS and Android libraries simplify data sync for mobile apps. Cloudant’s native mobile libraries store JSON locally to devices first and, upon request and on demand, Cloudant Sync automates changes to the cloud when a connection is available. Average attention spans are dwindling and users will abandon your app within seconds if it fails. Cloudant can keep apps connected to data and keep users engaged, even when network connections go down. Offline functionality of Cloudant-powered apps is possible because all data access, insert, read, update and query run locally. So, at the request of the developer and when business logic and network conditions so allow, replication to the remote instance is possible. Location-based features are increasingly a must-have for all apps. But when network problems disrupt access to geospatial data, any apps that rely on location-based functionality will come to a halt. Cloudant Geospatial, which provides easy GeoJSON storage and indexing, helps ensure your app’s users can have offline access to location data. The technologies that power Offline First applications are increasingly open source and freely available. The result is a flourishing ecosystem of offline-capable web, mobile and IoT apps running on interoperable systems. Cloudant is fully compatible with open source Apache CouchDB and PouchDB. As a result, your apps run well on both self-managed CouchDB and IBM-managed Cloudant environments, with PouchDB offering a free way to persist data locally for offline data access. 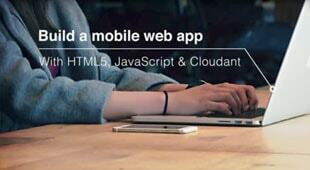 Cloudant combines with other key technologies and services to bring Offline First apps to life. Cloudant is used with PouchDB (a small, in-browser version of Apache CouchDB) to enable offline data access. PouchDB behaves as a native instance of Cloudant when users are offline, and syncs with the Cloudant service when online. Cloudant can be used with the IBM MobileFirst platform to bring offline data access, robust data synchronization, text search and advanced geospatial capabilities to mobile apps. Connecting Cloudant to the Watson IoT Platform gives you a powerful and robust means to store, access and analyze your historical IoT device data, both offline and online. Provision a fully managed Cloudant instance on IBM Bluemix Public. Cloudant is always free on the Lite plan, which includes a max of 1 GB of encrypted data storage. The paid Standard plan offers scalable configurations by throughput capacity and data usage and starts at USD 75/mo. Fully managed single-tenant deployments of Cloudant are available in IBM Cloud and AWS data centers, along with Bluemix Dedicated environments. Contact us for more information and pricing. Run a fully featured Cloudant cluster in the privacy of your on-premises data center. Contact us for more information and pricing. IBM Developer Advocate Bradley Holt makes the case that the best answer for offline sync for progressive web apps is a combination of Apache CouchDB, Hoodie and PouchDB. Learn how to implement Offline First design with the Location Tracker sample app, which uses the Cloudant Sync iOS library. The voices behind the SXSW Panel From Mobile First to Offline First discuss all things online first, from progressive web apps to new design patterns.